This palette had a ton of fallout. I would lightly put my brush in the pan and tons of product would fall out. The glitter shadows end up all over my cheek after a couple hours of use. The colors are beautiful, but the formula makes this palette really hard to work with. Hannah Ostergrant has rated on date 03/30/19 as Just OkThis palette had a ton of fallout. I would lightly put my brush in the pan and tons of product would fall out. The glitter shadows end up all over my cheek after a couple hours of use. The colors are beautiful, but the formula makes this palette really hard to work with. with 4.5star. Tracey Birman has rated on date 03/09/19 as Absolutely StunningAmazing! with 4.5star. Natalie Traver has rated on date 03/02/19 as I ❤️ The sultry paletteSuch a good palette super obsessed with it with 4.5star. Nicole Ruiz has rated on date 02/26/19 as GorgeousJust like all her shadows this is beautiful! Very pigmented with almost no fall out! Love it all with 4.5star. When I saw this palette, I thought it was boring and would be easy to pass up. However, when I saw it in person, it changed my mind. This palette may seem *too* neutral, but it is stunning and perfect for any look ranging from day to night. My only issue is fallout -- the metallics are so intense that the fallout is too, and cleaning it up generally leaves glitter all over my under eye so I prefer to just wipe it away with a makeup wipe and then do my face makeup. If you don\'t mind that extra step and want a STUNNING palette that will really draw attention to your eyes, this palette is for you. Abbie has rated on date 02/24/19 as way better than I expectedWhen I saw this palette, I thought it was boring and would be easy to pass up. However, when I saw it in person, it changed my mind. This palette may seem *too* neutral, but it is stunning and perfect for any look ranging from day to night. My only issue is fallout -- the metallics are so intense that the fallout is too, and cleaning it up generally leaves glitter all over my under eye so I prefer to just wipe it away with a makeup wipe and then do my face makeup. If you don\'t mind that extra step and want a STUNNING palette that will really draw attention to your eyes, this palette is for you. with 4.5star. When I saw this palette, I thought it was boring and would be easy to pass up. However, when I saw it in person, it changed my mind. This palette may seem *too* neutral, but it is stunning and perfect for any look ranging from day to night. My only issue is fallout -- the metallics are so intense that the fallout is too, and cleaning it up generally leaves glitter all over my under eye so I prefer to just wipe it away with a makeup wipe and then do my face makeup. If you don't mind that extra step and want a STUNNING palette that will really draw attention to your eyes, this palette is for you. 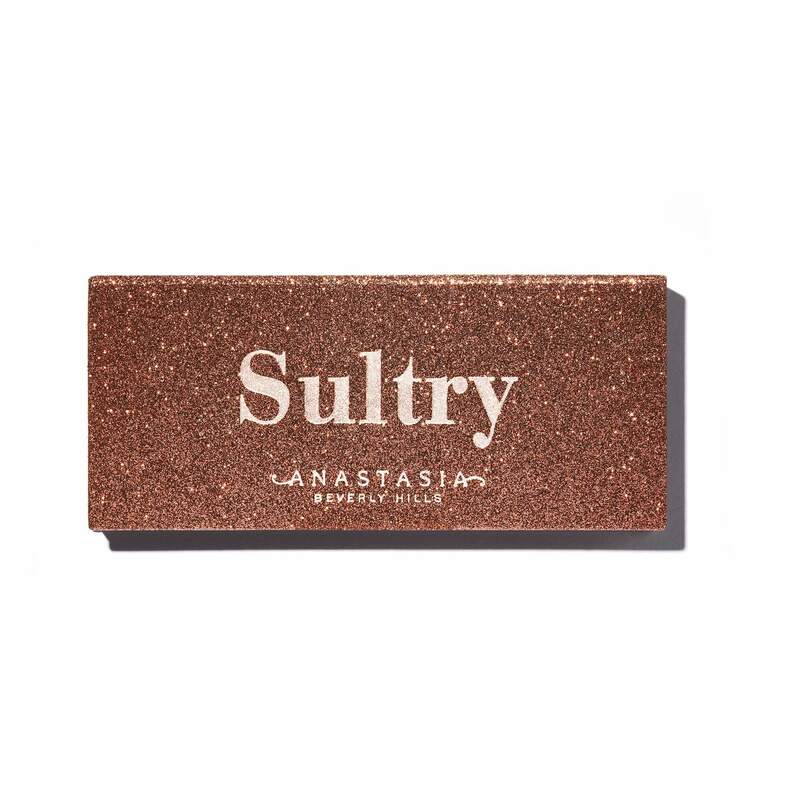 Anastasia Beverly Hills Sultry Eye Shadow Palette is an essential smoky eye shadow palette that features 14 shades ranging from golden mattes to bronzy metallics. Create an endless array of holiday looks with this collection of cool-toned shadows—including 2 cult-favorite shades and 12 ALL-NEW shades. A little goes a long way, so only a little product is needed to create high-impact eye looks.